Travelling from Split to Sarajevo is a Beautiful Journey! Travelling between Croatia and Bosnia and Herzegovina doesn’t have to be difficult! If you need to get from Split to Sarajevo, there are many ways to do it. We took the bus, but we’ll outline all the options (like Split to Sarajevo by car) for you in this post so that you can find the best option from Split to Sarajevo for you! Need to Get From Podgorica to Split? Here’s our 3-Part Journey with Prices and Everything! Staying in Bosnia? Our Train Ride from Sarajevo to Mostar is coming soon! We left Bosnia for Croatia again! Here is the journey from Mostar to Dubrovnik. Heading From Croatia into Montenegro? We went from Dubrovnik to Kotor by bus. Explore Montenegro into Albania – The Bus Journey from Ulcinj to Tirana. Split to Sarajevo by car is (at the shortest distance and with tolls) about 250 km by distance. Generally, this would take about 4 hours but that doesn’t account for the border crossing. The route is fairly straightforward on highways or larger roads but there will certainly be lots of turns to watch for. Driving by car allows you the flexibility of your own schedule. You can also stop to take photos or breaks. There are things to consider if you are in a rental car, however. For example, you might not be able to take it across the border into another country. Changing countries also gets tricky for some insurance policies. So, be sure to check these things with the rental company and insurance company in advance! There are no train connections from Split to Sarajevo. Trains between the two places just aren’t a thing in this part of the Balkans. You know what is a thing? Buses. Using buses. If you wanted to fly from Split to Sarajevo, you could very well do that. However, flight availability/logistics might be inconvenient based on the season you’re travelling in. The airport closest to Split would be Split Airport, located about 30 km to the west of downtown split. The airport code if SPU. Sarajevo International Airport, also known as Butmir Airport, is located about 20 minutes away by car/taxi in the southwest of the city centre. To be honest, the flights between Split and Sarajevo would be semi-inconvenient because there do not seem to be any direct flights. You’d most likely have to connect through Zagreb or Vienna – but we even found connections through Istanbul or Munich. The time spent connecting isn’t really worth it when you could have gotten on a bus and been there in a few hours! If you wanted to go on a tour from Split to Sarajevo it would be an overnight tour but definitely worth your time if you wanted to see the country without doing it all yourself. If you wanted to take a tour, there aren’t many options available. However, this one was newly added to Viator and includes all transfers in a luxury private car with a knowledgeable guide. Might be worth looking into if you want to take a tour! Check out the tour from Split to Sarajevo Tour in Private Car with Driver/Guide! We took the bus, and you should, too. You’ll find that in the Balkans, the bus becomes the standard of transport. Even in the smallest of towns, the bus usually stops at a bus terminal with spots for a few large coaches. In short, the bus systems are pretty good, usually clean, and quite secure. Many even have ticket people scanning yours to enter the platforms. You can check the bus times at Bus Croatia and getbybus.com. 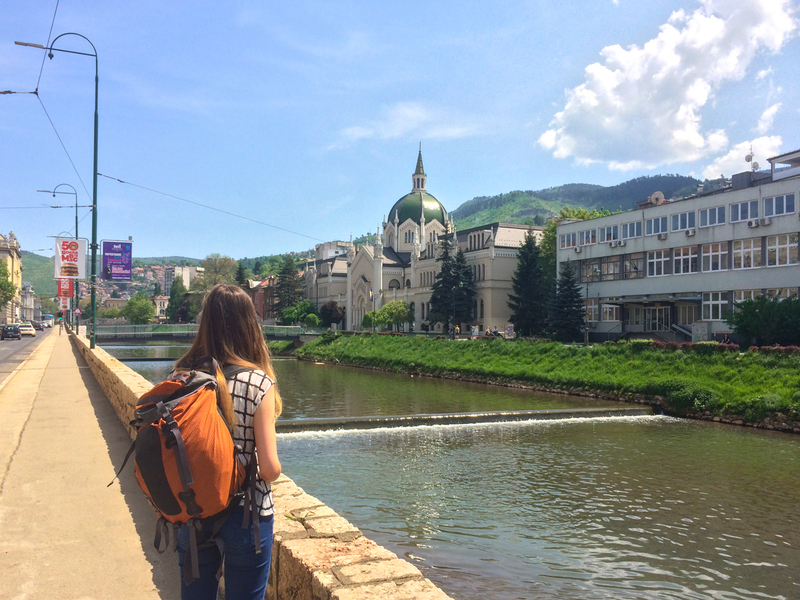 As for your journey to Sarajevo, here’s how it went. 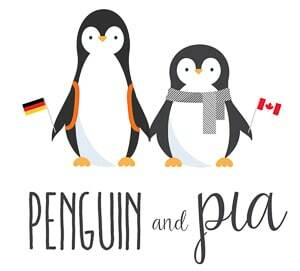 Cost: Approximately 22.50 euro/person for tickets, “Checked” Bags – 1 euro (8 Kuna) per bag. Tickets Bought: At Split Bus Station two days in advance. Originally, we didn’t actually know where we were heading after Split. We did the research and eventually booked the second half of our four months “on the road” to include Sarajevo, Mostar, Dubrovnik, Kotor, Ulcinj, and Tirana. It sure is easy to pass through and experience four beautiful countries! We arrived at the Bus Station in Split early in the morning. Our bus was at 7:00 am so we left our Airbnb (that was outside of Split) and made it into the city early. The bus station is called Autobusni kolodvor Split and is located down near where the ferries all load at the main harbour. The company we went with to Sarajevo was Globtour. They are a popular brand and a sister company of Croatiabus and Jadran Express. In the Balkans, you often see these companies driving around Croatia and Montenegro and frequenting the bus stations in the major centres. As a part of getbybus, Globtour also runs routes in Central and Western Europe like Italy, Germany, Austria, and more. See, up until this point, we’d had lots of different ways drivers/companies handle luggage on the buses. In Montenegro, we brought all the bags onto the bus with us. In Croatia on a “Croatiabus” bus, the bags went under the bus for a small fee which you pay the driver right there on the spot. You can take on your small bag/personal item and that’s the end of it. The start of this ride, however, wasn’t as smooth. In short, we only had two small backpacks (one per person). We figured that those would be our personal items so as to not have to “check” the bags under the bus. When we went to the main guy, we motioned that we would just take them on. He said “no no no” as in it’s policy to put them under. Eric then said “Okay, let me put the important things into another smaller bag (like passports, cameras, etc) and then I will put these two bags under.” He didn’t want to do it in the middle of the road so went onto the bus. The driver interpreted that as “we’re going to go on the bus and not come back off with the bags”. But he didn’t speak English (nor we speak Bosnian) so it made communication difficult. As we were shifting our items around, he boarded the bus to confront us and basically said (in Bosnian) “hey, these go under like I told you” and actually grabbed the handle of Lisa’s bag while it was in her lap. That wasn’t cool – but looking back he thought we were these a**hole tourists trying to evade the rules and we thought he was the a**hole driver who was milking the tourists for money. We said “OK” firmly – as in to say that we were following orders (which we always were – but he didn’t know that). In the end, we paid, the bags went under, and it was fine. We felt confused and a little violated at the time since there was also some confusion about the price – but you have to imagine why he responded like that. The whole thing was just a misunderstanding. By the end of the trip the main guy was smiling and kind to us. **Funny to note that since this ride we’ve now travelled to Albania – and for that bus the bags were free to just toss in the back! The driver didn’t care at all and was super nice about it. So, we don’t know what the standard is anymore! Be prepared for all scenarios, we guess! Crossing the border was super simple. At this point in out trip, we’d done pretty much everything at the border: stay on the bus, get off the bus, have bags searched, etc. This crossing was simple because we didn’t get off but it took quite awhile. This is partially because there was a bit of traffic and the bus in front of us had a problem so we had to wait our turn. That said, the whole thing took about 45 minutes so take that into account if you’re planning on connecting to flights or other buses in cities. The driver’s assistant grabbed all the passports handed them over to the border official. We waited. The assistant came back on the bus, redistributed the passports/ID cards, and off we went! We made quite a few stops through smaller towns along the way. The Adriatic Coastline disappears behind you and slowly turns into fields, then into thick, green forests that blanket the mountain ranges. It was really neat to see the further into the centre of Bosnia we went. The ride itself was very relaxing and very peaceful. The bus wasn’t busy at all and the people on it were locals usually hopping on between small towns in Bosnia – not people taking it the whole length to Sarajevo! Once we noticed the traffic start to increase and the industrial area come into focus, we knew we were close. It was great to see Sarajevo kind of emerge from the forest where we had come from. Seeing the mountains surrounding the city was certainly a unique aspect to it! From the main road, we turned left in the bus station is called Autobuska Stanica Sarajevo. We then hopped off at the bus station, which is also near the train station. Pretty simple. We collected our bags and off we went towards our guesthouse but you could hail a taxi from there if you needed to. And there you have it – our journey from Split to Sarajevo! 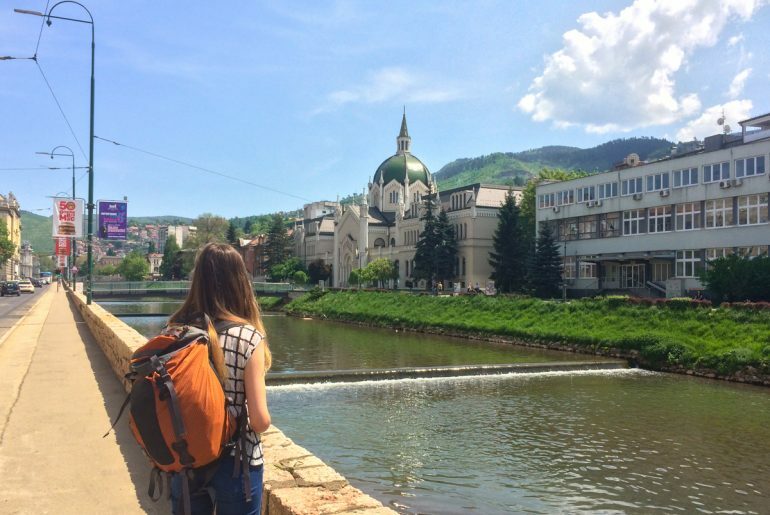 The next thing you’ll get to read about is how much we loved Sarajevo, Mostar, and the entire country of Bosnia and Herzegovina. We didn’t know what to expect travelling there. Turns out, it is a wonderful country with nice people who look to move forward from a recent troubled past. You’ll get more of our thoughts on the country in the coming weeks!